Electronic delivery of stock shares is the most secure and expedient delivery process available and provides efficient internal control as well as cost savings. You may also transfer certificates directly. Either way, please contact info@chabadso.com for information and forms to facilitate your gift of stock. 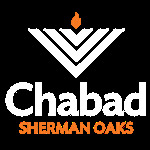 Our specialist volunteers will work with you to design a plan that maximizes benefits to you and your family while helping Chabad of Sherman Oaks. Bequests, Life Income Gifts, Gifts of Life Insurance, Charitable Lead Trusts, Gifts of Retirement Plans — all these and more can be tailored to your specific situation by our specialists. Please contact info@chabadso.com to discuss these options. Please be sure to provide your telephone number and the best time to contact you. We accept gifts of electronics (such as PC's etc. ), cars, boats, Real Estate and the like. However, due to the ever-evolving marketplace, (other than real estate) we need to be sure that the equipment is working and relatively up-to-date. The cost and futility of handling old equipment usually outweighs the benefit, generously-intended though it may be. We can also use certain forms of expertise. Please contact us at info@chabadco.com to discuss your proposed gift of equipment or expertise. We accept donations of cars, boats, real estate & appreciated stock. Speak to your tax advisor for details or call our office.